Discussion in 'News' started by Kenzie, Feb 7, 2019. 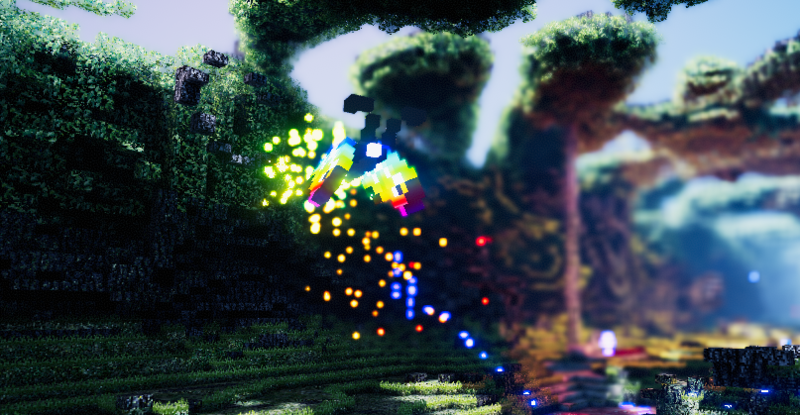 Rainbow Butterflies are the equivalent of Rainbow Balls in Time Clickers. They will appear every 5 - 10 minutes, hovering over your Turret before flying away again. Collecting a Rainbow Butterfly will instantly give you 5 minutes worth of Gold (based on your Current Timeline Highest Gold Per Hour Stat). 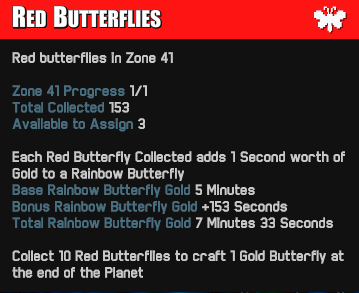 In addition to the current burst of gold you get at the end of every planet, each collected Red Butterfly gives a bonus +1 second Gold to Rainbow Butterflies. Lastly, based on feedback the Free Roam Camera is now available in Ghost Mode (not just on Hover Bike). 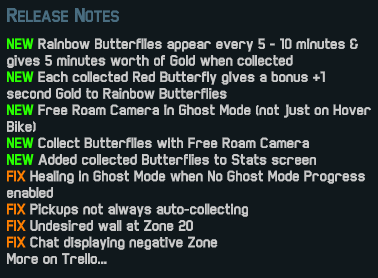 Also, Butterflies can now be collected using the Free Roam Camera. Next Friday Update will be on February 22, in the meantime continue to share your thoughts & feedback on the Steam Forums & our Discord.